If You Grew Up In A Punjabi Family, You MUST Watch This Video! Growing up in a Punjabi family is amazing, right?! Punjabis are (mostly!) happy people... Some of them are even named “Happy”! But there are some problems that only a Punjabi can understand, like not ever being able to lose weight! Let’s be real, Punjabi mothers and their “remedies” are just unbeatable - like offering you Limca when you have overeaten, so that you can “digest” the food! 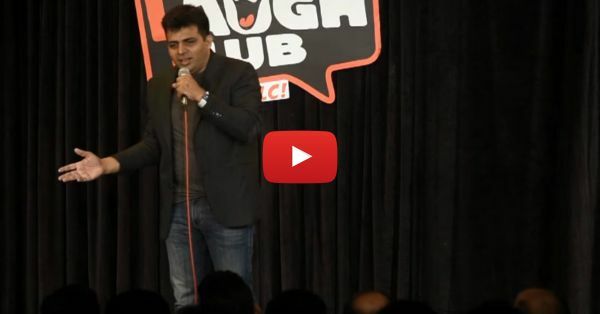 Amit Tandon is BANG ON in explaining some typically Punjabi things in this video. It's hilarious and totally relatable! So what are you waiting for? Go on, hit the play button…NOW! PLUS: Subscribe to POPxo on YouTube for original videos + our favourite videos from around the web!